"We love Dr. Dubner! He is very patient and we have a ton of confidence in him." "Dr. Dubner is great. He is professional, pleasant and gets to the point." "Excellent Dr. Dubner - Would recommend to anyone in need - "
"Dr. Dubner is kind and informative. I would definitely recommend him to others." "I have recommended him to many people. " "Dr. Dubner was kind, courteous, patient and knowledgeable. He took his time to discuss my case and answer all the questions I had. I felt he genuinely cared and would be very comfortable under his care for my surgery even though this is the first time we met." "Dr. Dubner is very good in explaining your disease and gave you the best option and very knowledgeable . Answer questions very well the way you almost forgot you have a disease. Become at peace after talking to him"
"Dr. Dubner is the best. I would recommend him to anyone who need the best care." "I have already recommended Dr. Dubner to my spouse." "Dr. Dunbar is a very caring and compassionate person as well as an extremely competent surgeon. I consider it a blessing to be his patient." "Dr. Sanford Dubner is excellent. " "dr dubner was amazing and I haven't seen a doctor with his care in a long time"
"Dr. Dubner was excellent. He was able to keep my mom calm during examination & explanation. I would recommend him to others. I love his personality." "I got the best doctor. My 1st time experience with him is very good." "the doctor apologized for my having to wait so long. The woman who scheduled my surgery was excellent"
"Dr. Dunbar helped put my mind at ease regarding my upcoming surgery. He is very patient and uplifting." "I don't recall the doctor addressing the lateness at all. He is very attentive and caring re: issue which brought me to his practice." "Dr. Dubner has been one of our most trusted & skilled surgeons for many years." "The only reason why I liked Dr. Dubner is because I know he is the BEST in the business. " "Dr Dubner is a very caring doctor who took the time to explain everything in detail. I would recommend him to everyone I know." "Dr. Dubner is very compassionate and allows me to participate in my treatment plan and open to discussions. Excellent doctor!" "My concerns were responded to and fears quieted." "Dr. Dubner & his staff are caring, competent, & sensitive!" "Dr. Dubner is a very professional doctor and a nice person as well." "Dr. Dubner is the ideal physician." "Already recommended Dr. Dubner to two friends who have appointments set. He is an amazing doctor - best one I ever went to for sure!" "Dr. Dubner is an excellent surgeon who truly cares for the well being of his patients. he also will call back at a specific time if you have questions." 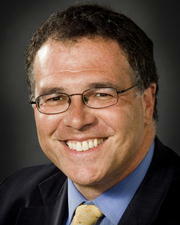 "Dr. Dubner is an excellent doctor with lots of compassion & concern for his patients I recently recommended a friend." "From the very first time I went to see Dr. Dubner, he has always made me feel comfortable. I would recommend Dr. Dubner to the world. My surgery turned out great, and I am so happy with the end results. He is the BEST!!" "I put my life in Dr. Dubner's hands." "Very good is not the right word above excellent for Dr. Dubner. " "Dr. Dubner is a wonderful and kind person and a wonderful doctor!!!!" "dr Dubner is a master surgeon who is down to earth. He listens and communicates clearly. He never rushes through an appointment. He is more than happy to answer any question. He's the best !" "A good doctor ______ they even gave drinks! " "he make me feel confident in getting better with my sickness." "nine years ago, Dr. Dubner and two other physicians saved my life from cancer!" "After a careful exam, excellent explanations and treatment Options." "Always a good experience with Dr. Dubner." "Dr. Dubner is the best surgeon I have ever seen. He always listens and cares about what the patient is saying. He is very thorough and explains everything!" "Dr. Dubner performed surgery on me over 10 years ago, very successfully, I see him for a follow-up every 6 months." "I would highly recommend Dr Dubner, he is a class act." "Doctor Dubner is extremely helpful and reassuring. I value his confidence and recommendations." "I am 90 years old & the Dr said everything was great." "Wish there were the column named "excellent" to describe Dr. Dubner's effort, care, & professionalism he is awesome! God bless." "Always a good experience at Dr. Duber's office." "doctor dubner is the best"
"Excellent in every way! 2 kudos confidence." "Excellent - usually have to wait for great doctors!" "Dr Dubner is awesome !Great surgeon and a great guy. Love him." "Only good, helpful. Made dr.'s visit comfort." "He is an excellent surgeon." "Dr. Dubner is a gifted surgeon - His support staff is excellent -"
"I am very happy having such competent people taking care of me." "Dr. Dubner & his staff are very professional & caring." "I have great confidence in Dr Dubner after my visit." "Very satisfaction in every respect." "Dr. Dubner is the top at his field." "Dr. Dubner and his staff are wonderful. I'm very happy with them all and would recommend them to everyone"
"Dr. Dubner is a professional; kind, thoughtful & excellent at his craft. He puts you at ease & I think he sincerely cares about his patients." "Not enough time allocated - 15 minutes is a little RIDICULOUS! #1. The physician." "DR DUBNER REMOVED 1/2 MY THYROID IN 1999 AND DECIDED TO COME BACK TO HIM TO REMOVE THE BALANCE RATHER THAN GO WITH THE SURGEON MY NEW DOCTOR RECOMENDED BECAUSE I REMEMBER THE GREAT CARE I RECEIVED TEH 1ST TIME"
"Dr. Dubner is an excellent caring and compassionate doctor who I consider TOPS in his field. He has the best bed side manner of any doctor I have ever experienced!" "Dr. Dubner is the most lovely doctor and so is his staff"
"Dr. Dubner is most informative. Answered all of our questions and doesn't make you feel stupid. He is quite gentle. I did not even feel the JP drain being removed." "Really nice guy - great manner w/my son who was anxious - very thorough." "Dr. Dubner appeared very confident and but my fears to rest." "Dr. Dubner is an excellent doctor, but the wait time in his office is terrible." "A doctor who took his time & explained everything so I understood - excellent doctor." "He is one of the best doctors I know. Very knowledgeable, courteous & pleasant -"
"I felt a little rushed once the dr. came into see me." "Dr. Dubner operated on me 3 or 4 times - He's the BEST." "Doctor & nurse - very good with me." "The doctor is excellent in every way!" "Thank God for Dr. Dubner - he saved my life!" "Excellent. The entire visit was overwhelmingly satisfactory." "Dr. Dubner is a true professional." "Very satisfied, would surely recommend this doctor to my friends & relatives." "Very good to me & family." "Dr. Dubner is an experienced, knowledgeable and caring physician!"